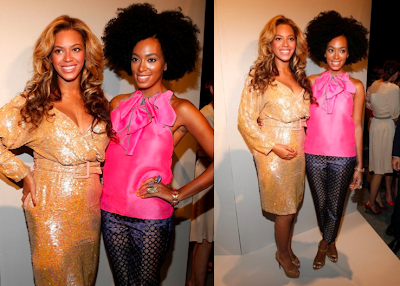 KayKiSpeaks.com: Solange Talks Jay Z, Beyonce, and Baby Jayonce! Well, somewhat anyway. While the speculations are all around that Beyonce has given birth, Solange her little sister is letting everyone know to chill out. Solange and her family spent New Years together, and she kept fans and admirers up to date on just how much fun they were having via her twitter page. Amongst her updates on how excited she was to be bringing in the new year with her family, she talked a bit about her brother & sister (Jay Z & Beyonce) & of course her niece or nephew tht will be here soon! Check out what she had to say after the jump!